At Action Garage Door in Benbrook, we take your garage door service needs seriously. As a Benbrook garage door repair company that focuses on individual needs, we guarantee your satisfaction. When you want the best in garage door repair and other services, you have to turn to the best. Each and every one of our experts will be committed to your complete satisfaction as a customer. As a garage door repair company that is committed to customer satisfaction, nobody beats Action Garage Door. Our family-owned business has been satisfying customers for 30 years and we are waiting to help you find the services you need for your garage door in Benbrook. All of our work complies with local regulations and our products are tough enough to take whatever the elements can dish out. At Action Garage Door, we understand you have many needs when it comes to garage door service. For this reason, our garage door service goes way beyond simple repairs. If your rollers or garage track is having problems, we’ll fix them. We also offer maintenance and many other services. No two home or business owners are alike, and our garage door repair company understands that no two will want the exact same garage doors and set up. At Action Garage Door, we offer a variety of garage doors for installation in Benbrook homes and offices. Some of our options include, steel garage doors, wood garage doors, Carriage House garage doors, Olympus garage doors, Classica garage doors, Stratford Heritage garage doors, and Amarr commercial garage doors. To get started with your garage door repair, installation, or replacement, contact Action Garage Door in Benbrook today and let’s talk about the options available from the garage door repair company that has been caring for customers since 1984. If you own a home in Benbrook, you will never face the prospect of a garage door that refuses to open! Just give a call to Action Garage Door, and help will be dispatched your direction quickly. Action offers emergency service as well as scheduling appointments for minor repairs and parts or whole door replacements and installations. You and your car will never be left out in the Texas heat! This small suburb of Fort Worth in the southwestern corner of Tarrant County grew up around the shores of Benbrook Lake, formed following construction of a dam in 1947 by the U.S. Army Corps of Engineers. With a population now around 22,000, it is still a relatively quiet, rural community that traces its roots to farm and ranch life. It is a family-oriented community, and is known as a “dry town,” meaning that sales of liquor and beer are prohibited and taverns are illegal. Today, only beer may be purchased in Benbrook, but it must be consumed off premises. Benbrook’s students attend schools that are part of the Fort Worth Independent School District, and major employers in the area include not only city government but Western Hills High School, as well as the Benbrook Community Center and YMCA, and Renaissance Park. There are a couple of oil and gas companies and Walmart as well as a Cracker Barrel, but otherwise Benbrook fits the classic description of “country town.” That’s not to say it is behind the times, however, and all the amenities and advantages of big city living can be accessed in nearby suburbs and in Fort Worth itself, only a few miles away. Cost of living in Benbrook is low for the area, although with an index ranking of 98, it is above the Texas average of 91. Median home price is $136,800. Living in Benbrook is generally quiet and simple, but the amenities list is extensive, particularly for outdoor and recreational opportunities, including parks and playing fields. Interstate 20 and Loop 820 run just to the north of the community, and residents have an easy commute to greater Fort Worth, or to larger cities just north and east. Median income for Benbrook residents is $78,863 in owner-occupied households that constitute almost 70 percent of homes in town. Unemployment and poverty rates are substantially below national averages. Benbrook’s annual Heritage Fest attracts visitors from all around the area to celebrate the past and cowboy history. Held in October, it includes a pumpkin patch and petting zoo for youngsters as well as music and dancing, exhibits and food, arts and crafts and games and activities for all ages. A major historical site in Benbrook is the Vernon Castle Memorial, even though little physical evidence remains of the airfield that it commemorates. Benbrook Lake, a reservoir on the Clear Fork of the Trinity River, is most notably known for water-skiing, cycling, and horseback riding. During World War I, both American and Canadian pilots trained at airfields west of Fort Worth. One was located in Benbrook. Crashes were common, and one of the pilots killed during training was Vernon Castle, the male member of a well-known dance team that had introduced the Tango to the United States in 1913. Graves of other pilots who died in training can be visited at Greenwood Cemetery in Fort Worth. Carruthers Field, where the pilots trained, holds the record for crashes among the three training fields, although its land became a dairy farm following the war. If you’re looking for a butcher, a baker or a candlestick maker, you might just find one — it’s still a small town. And, for sure, you’ll be able to find a friendly, professional electrician, plumber, roofer or landscaping company, if not actually in Benbrook, then at least close enough to get to you quickly. Service person came exactly when expected and did a great job. Also walked me through the new system to be sure I was comfortable. He cleaned up and finished in a very timely manner. I was also assured that I would be reminded of any follow up appointments needed. Arnold did a great job on the installation of our garage door opener and the tuneup of the door track. I am very pleased. It was Sunday afternoon and Jose responded to my call that I could not open the garage door, as the large spring had broken. He was efficient and knew his trade very well. I was impressed with his courtesy and knowledge! Allen was very friendly, explained the repair thoroughly, and presented options in a easy to understand manner. 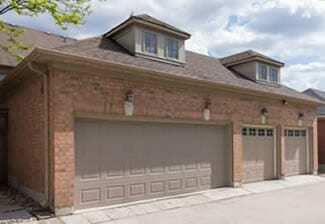 Action Garage Door arranged repair quickly and was easy to work with. Nathan did a great job!! Came right on time. Fixed problem fast.